Let me start by saying I’m not the biggest white chocolate fan. Semisweet chocolate? Yes, please! Milk chocolate? I’ll take seconds, thanks. But white chocolate? Not the biggest fan; however, it’s delicious in this recipe. 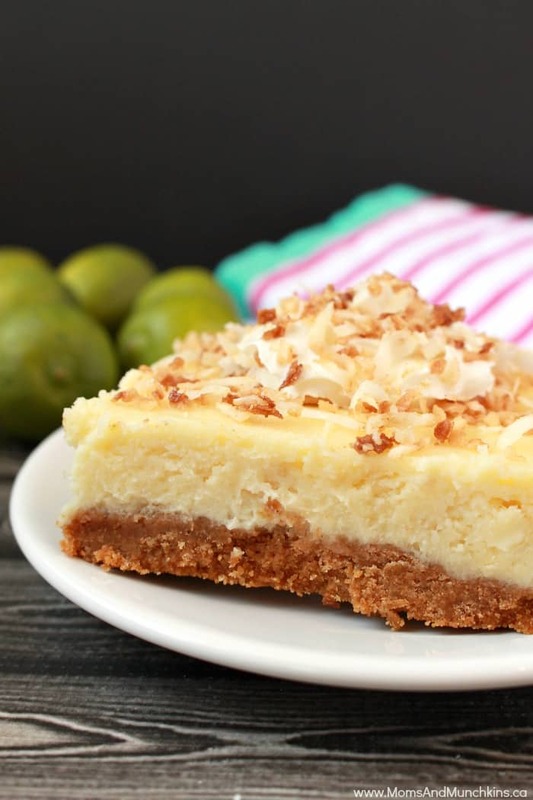 So if you’re not the biggest fan of white chocolate either, trust me on this Key Lime White Chocolate Cheesecake Bars recipe. The white chocolate goes great with the key lime and cheesecake mixture. 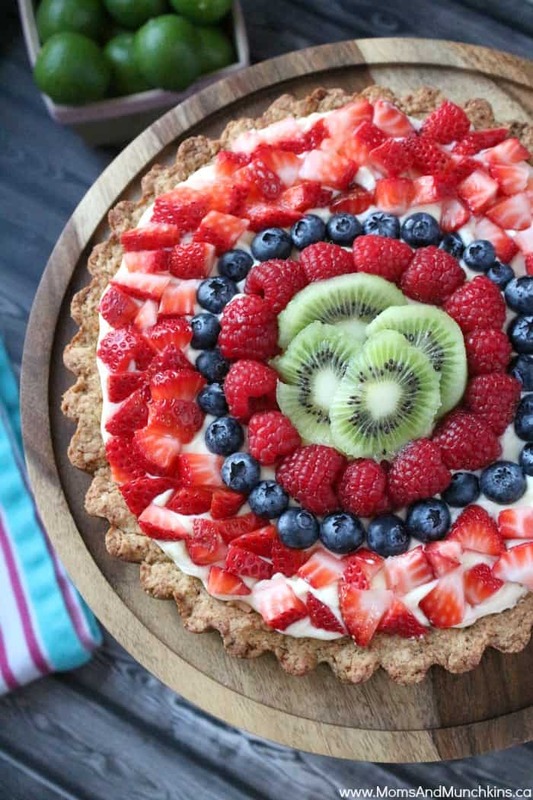 This is a great dessert recipe to serve at a summer party but you’ll want to make it the day before because it needs at least 4 hours to chill in the refrigerator before cutting and serving. It’s tempting to cut into it early to taste it but just back away from the dessert! Go to the pantry, grab a handful of semisweet chocolate chips to eat and let these Key Lime White Chocolate Cheesecake Bars set completely before serving. Key limes can be hard to squeeze the juice out of so I’d recommend a citrus juicer. Nothing fancy required – just the little plastic citrus juicer is fine. You’ll be happy you have one after squeezing the first of the dozen key limes required for this recipe. Line a 9" square baking pan with parchment paper. In a medium bowl, combine graham crackers, melted butter and 1 tablespoon granulated sugar. Press graham cracker mixture into parchment paper lined pan. Press mixture down to pack it firmly. Bake for 10 minutes. In a large bowl, beat together cream cheese, ½ cup granulated sugar, key lime juice and key lime zest just until well blended. Cool completely at room temperature then chill in refrigerator for at least 4 hours before serving. 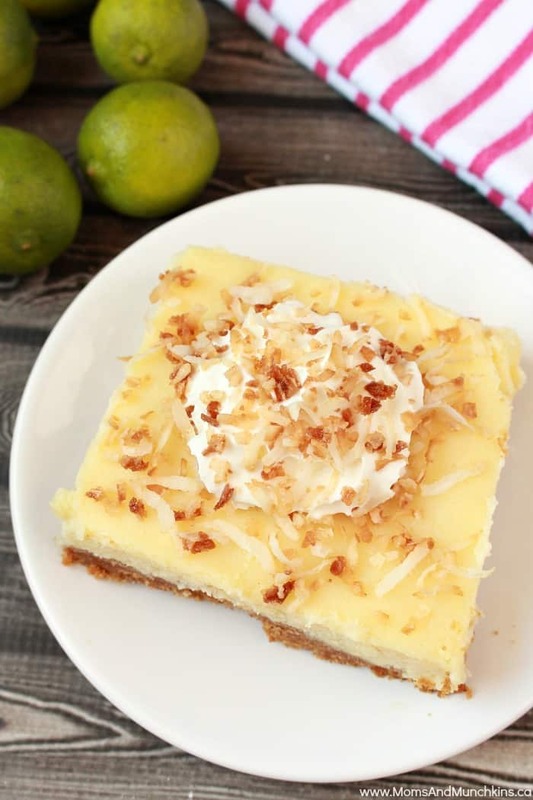 Optional but recommended, serve bars topped with whipped cream and toasted coconut. 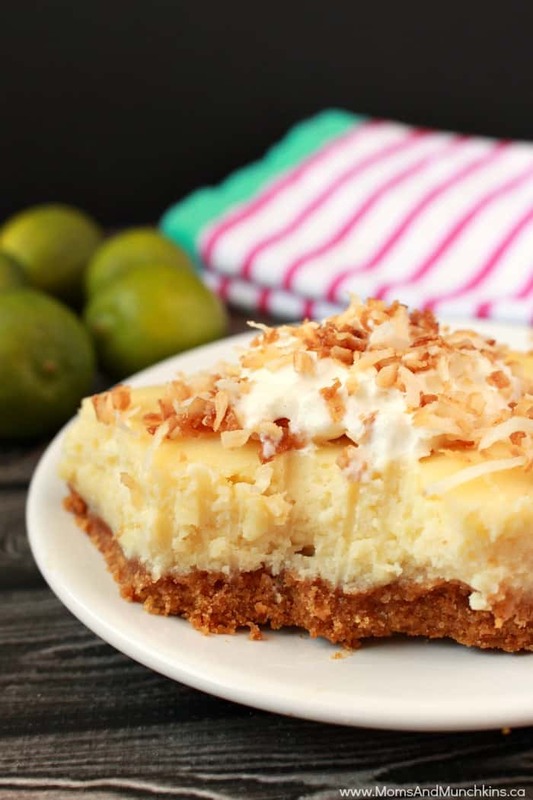 If you love key lime desserts, here are a couple of others to check out. 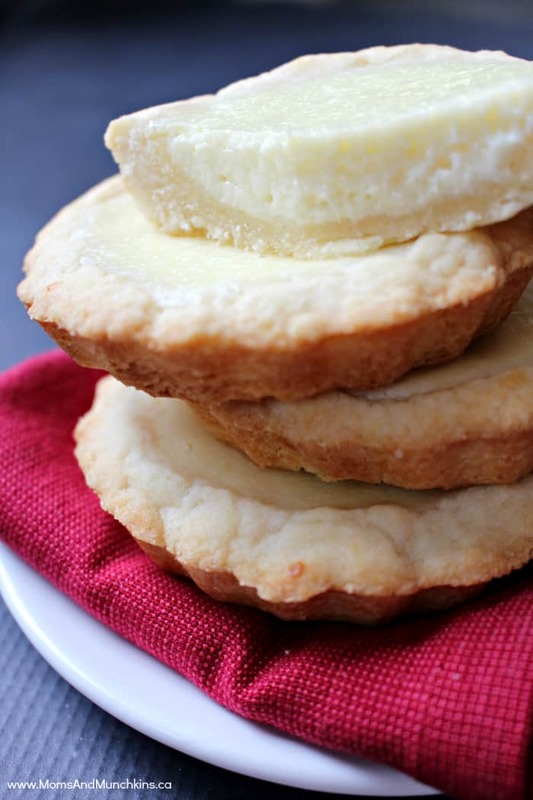 Key Lime Cheesecake Tarts – I promise these are super easy to make! Much easier than making a full cheesecake. Check out more delicious recipes on our Desserts page. Stay updated on the latest by following us on Instagram, Facebook, Pinterest and Twitter.